In the context of the international conference EDIT4Tomorrow, on 23rd of November 2017, an agreement for the creation of an Open Initiative for Pan-Balkan Digital Cooperation was signed between the digital leaders from the Western Balkans and MOVE.BG. The signatories of the agreement are Ms Sasha Bezuhanova, Founder and Board chair of MOVE.BG, Mr Ivo Spigel, Co-Founder, Tech.eu (Croatia), Mr Grigoris Chatzikostas, Head of Business Development Department, BioSense Institute (Serbia), Mr Vele Samak, Former Minister for Foreign Investments, Republic of Macedonia, Mr Milos Lazovic, Ecosystem Facilitator/MRM, SECO Entrepreneurship Program, Swisscontact worldwide (Serbia), and Mr Vladan Todorovic, Cyber Security Senior Professional, Advanced Security Technologies (Serbia). The initiative will see a direct follow-up via a further conference in March 2018 which will be organised by MOVE.BG and will address the three key topics of the agreement and their further development. The future, as well as the present are both digital. Technology and innovation are the key driving factors behind the new digital transformation of today’s economy. 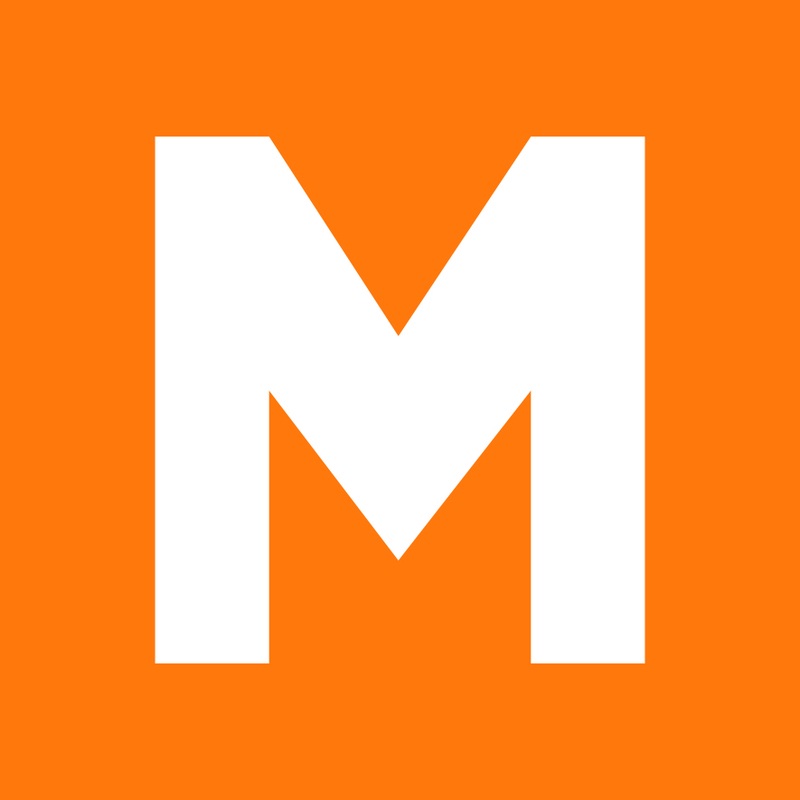 Their development is not only a way to boost the economy, address unemployment and provide cutting-edge solutions to social, economic and even political issues, but it is also a way of unlocking potential, encouraging entrepreneurship and the creation of networks for partnerships and sharing of experience. Initiatives that support this idea have already sprung up in the Balkan region: curious and innovative minds have come together to start their endeavors, develop solutions and attract investments. Leading projects such as Startup Macedonia, Serbia Start Up and EDIT in Bulgaria show that startup ecosystems are starting to grow and develop in the countries of the region, bringing with them a lot of potential for further development, investment and innovation. 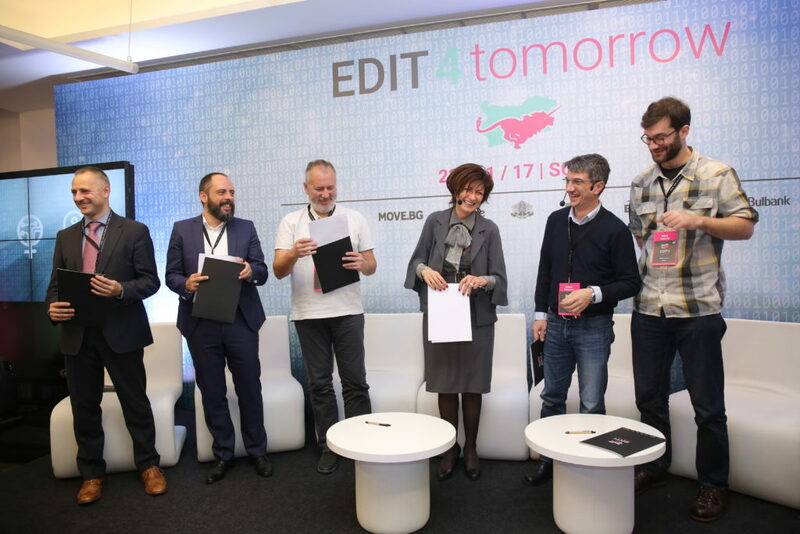 In Bulgaria, through EDIT, we have created a crucial network which has connected startup entrepreneurs, innovators, as well as investors. We have observed the immense benefits from sharing of knowledge, experience and ideas both from within and outside of Bulgaria, and we are convinced that such a valuable network needs to expand and connect even more people and bring even more benefits not just in Bulgaria, but in the entire Balkan region as well. This is why we want to take the already valuable initiatives that encourage startups and entrepreneurship in the Balkan region, and develop them further in a collaborative effort that we believe will bring even more cumulative benefits. Through this initiative we want to enable the sharing of knowledge and experience at a regional level, as well as to encourage Balkan countries to develop the region’s economic strategies together. There is no time for such initiative to start like the present. We believe that internal and external efforts so far to boost the socio-economic development and European integration of the Western Balkans have created a critical mass which allows for the start of our initiative. There are several current and upcoming factors which create a unique window of opportunity for such efforts to be kick-started. One key factor is the upcoming Bulgarian Presidency of the Council of the EU which will take place between January and June 2018 which has set two crucial priorities: the continued and strengthened integration of the Western Balkans in the EU, backed by increased cooperation with Bulgaria on the one hand, and the European Digital Single Market on the other. Moreover, following Bulgaria, Austria and Romania will be holding the Presidency of the Council of the EU. Their interest in the stability in the region and similar priorities will lead to continuity of the policy started in early 2018. In this context, we believe that the creation of an open network for Pan-Balkan digital cooperation is not only timely, but will also contribute towards the collaborative effort of boosting innovation and the digital transformation both in Bulgaria and the Western Balkans. Efforts in this direction will benefit the region and its citizens, but will also solidify the bridges of partnership, solidarity and good neighborly relations between Bulgaria and its Western Balkan neighbors. Our initiative will be building upon already existing activities and initiatives in the Balkan region for cooperation, and will be strengthening such efforts and ensuring that there is a platform for facilitated and efficient exchange of experience and best practices. The idea is to create an open network for digital cooperation on the Balkans. 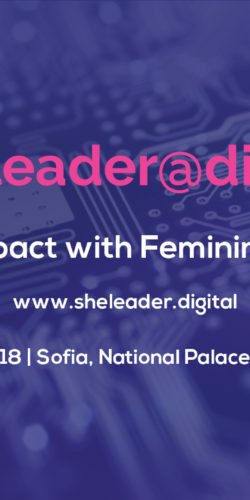 It is initiated by the digital leaders from Bulgaria and the Balkans, but it will be open to everyone who wishes to support and contribute to the network and its goals. All three topics are chosen based on the premise that in each one of them, there is a lot of potential, but also space for development. Collaborative efforts in those three main objective will also result in solutions and contributions in key issue areas such as economy development, underrepresentation of women in academia and entrepreneur opportunities, as well as improved cybersecurity and safety for all Balkan citizens. 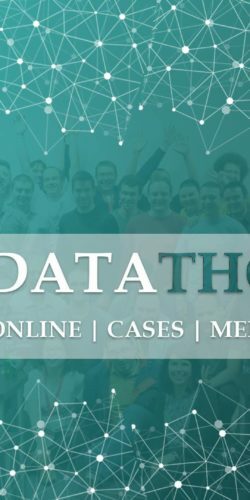 March, 2018 - in the context of the Bulgarian Presidency of the Council of the EU, an event hosted in Bulgaria on the Western Balkans and the three main topics of collaboration (startup ecosystem collaboration, cybersecurity and women in tech). The event will gather all relevant stakeholders involved in the initiative and will provide a platform for the discussion of priorities and actions, to be discussed at the Western Balkans Summit in 2018, as well as the next steps forward.